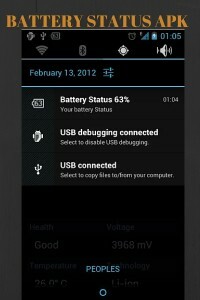 Battery Status Apk is a simple android application for checking your mobile battery status. Some android phones don’t have any option for showing remaining battery percentage so, with this app you can easily check your remaining battery. 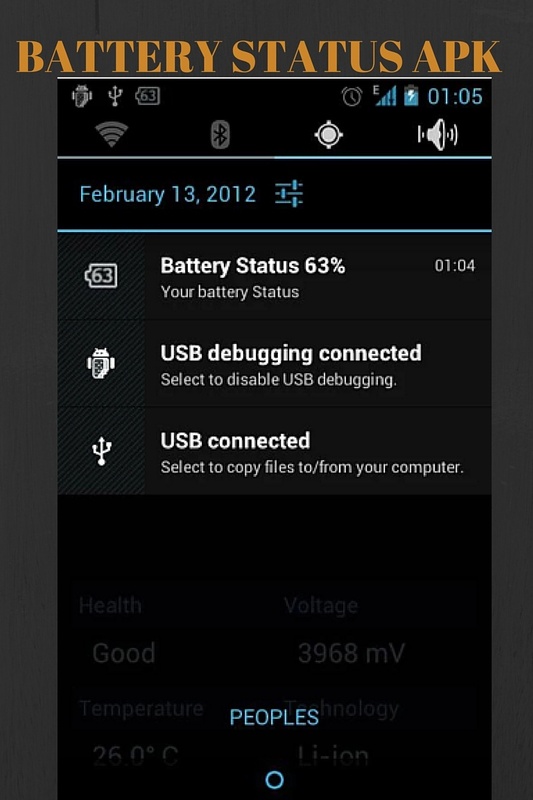 It also provides you with some other features like estimated time duration for the phone to go dead. With this, it also shows you that which app is using how much of your battery. With this, you can easily have a look on your phone battery when your phone is just going to go down it notifies and gives you different suggestion for saving battery like low brightness etc. REQUIREMENTS: It doesn’t require any special features if you want to download the app you only need to have an android version of 1.6 or up with a minimum free storage of 1 MB. The app is having a very small size of 383KBs so it can be easily downloaded on any device. When a low storage device can download the app in few seconds. 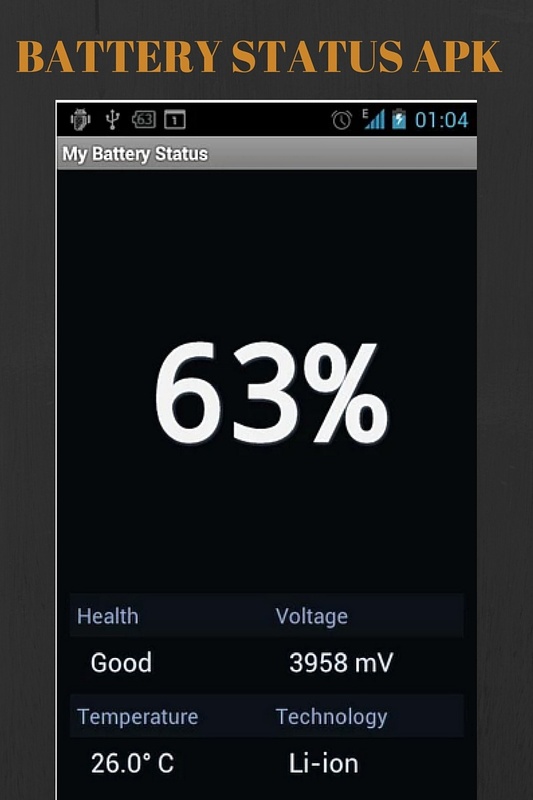 REVIEW ON PLAY STORE: Battery status is having a very very positive review on play store. It is having about 100,000 – 500,000 Downloads on play store with a spicy rating of 4.3 stars by android users. Accurate battery status in percentage. Guidelines for how to save battery life especially on low battery. The app will show you running apps and games on your device and percentage of their battery usage.